This photo was taken 2nd November 1914. Note the man on the left wearing clogs. The families are some of the Belgian refugees in the parish, which include the de Ridder and Maes families. 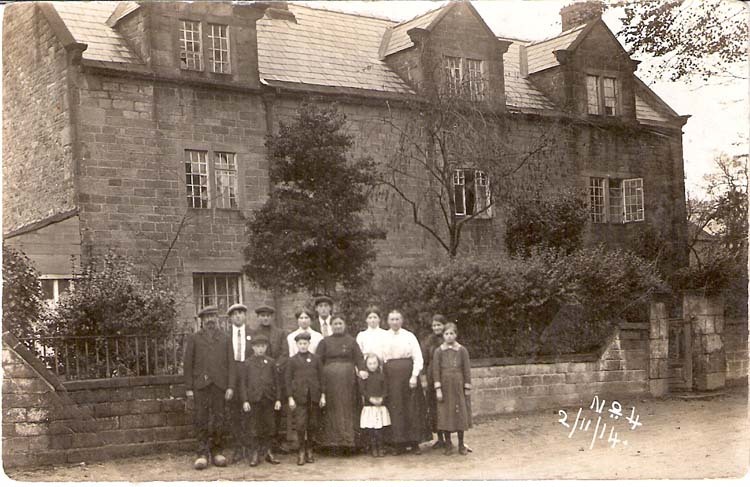 In the admission register for Crich Junior School, four Belgian children (three 'de Ridders' and one 'Maes') were recorded as residents of 'The Mansion' on admission on 16 November 1914.